2014 marks the Nevada’s sesquicentennial. The Silver State will be celebrating its 150th birthday all year long. This will include some ghostly activities and events as well. There's no shortage of ghosts here in the wondrous state of Nevada. Nevada’s premier ghost walk since 2002. 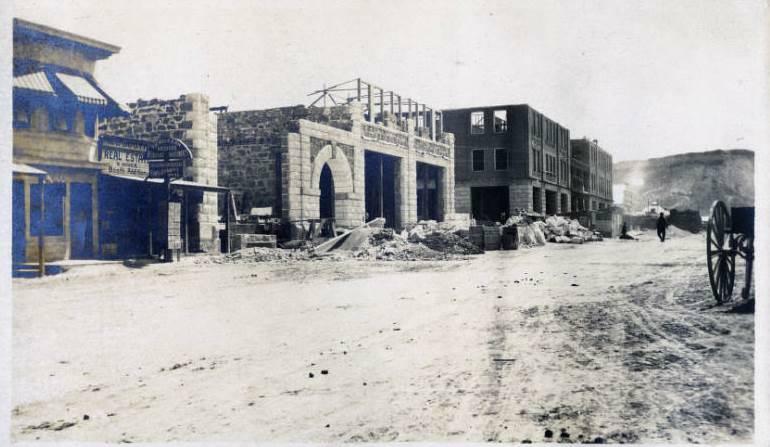 Join Renoite Janice Oberding on this fascinating glimpse into Reno’s haunted past and present. Hear stories of notorious men and women who left their marks on many of the downtown area’s buildings and locations. 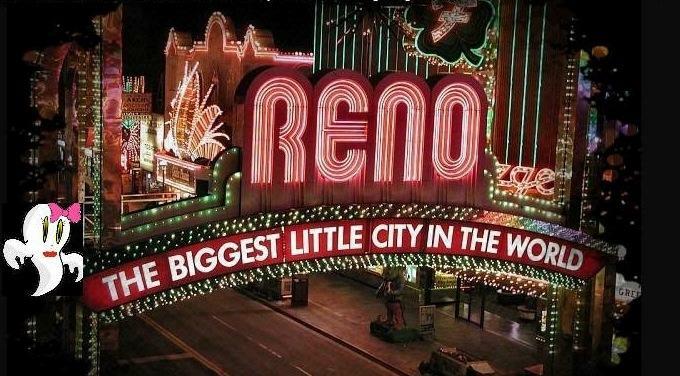 Reno is an historic charming college town. But there is the city’s darkside past. It is one of greed, power driven violence and mystery. 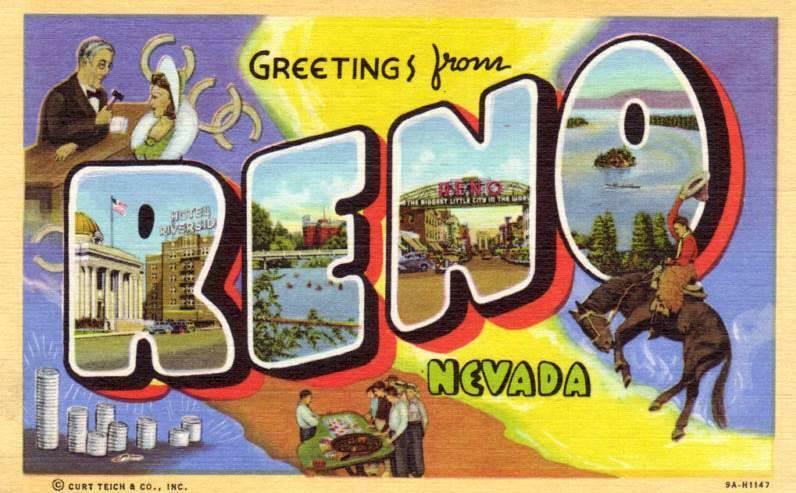 Reno is the Biggest Little City and the birthplace of gaming. See where it all began. Where bold entrepreneurs ran illegal gambling operations UNTIL Nevada legalized gaming. See where a man was lynched in downtown Reno…and where Marilyn Monroe filmed some of her scenes for her last movie The Misfits. Along the way we may, or may not, encounter a ghostly presence. Certainly there are numerous ghost reports and sightings throughout the downtown area..
Reno, Las Vegas, Virginia City, Carson City, Ely, Elko and Austin, all are haunted. Naturally so are our ghost towns? 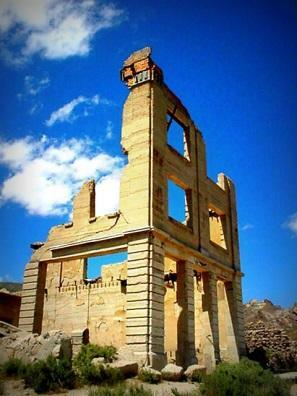 The crumbling ruins of ghost towns are scattered across Nevada's desert. Some like Rhyolite and Berlin may be in better condition than others; but the spirits of long dead citizens probably inhabit them all. Goldfield, with barely a handful of residents, is nearly a g host town itself. And we all know about the ghosts at the Goldfield Hotel. Hard to believe that at the beginning of the 20th century Goldfield was Nevada’s largest town. It is about 200 miles north of Nevada’s largest city Las Vegas. Las Vegas offers everything, shopping and glamour and the ghostly mobster Bugsy Siegel. Nevada’s most haunted town is Virginia City. Virginia City is rich in both history and ghosts. The more you look into one, the more you discover the other. History and ghosts: To know history is to know ghosts. Ghostly miners, murderers, courtesans and yes, even cats, are all part of the town's haunted population. Mark Twain started his literary career on the Comstock. The Comstock refers to Virginia City, Gold Hill the area where millions in silver ore was discovered and mined in 1859.